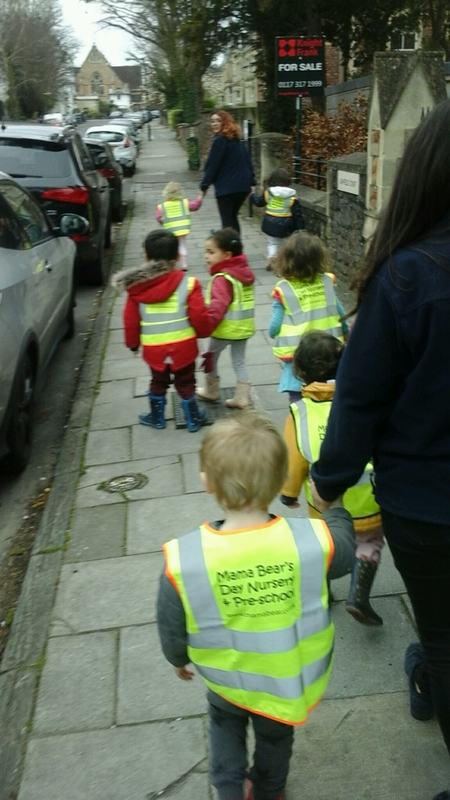 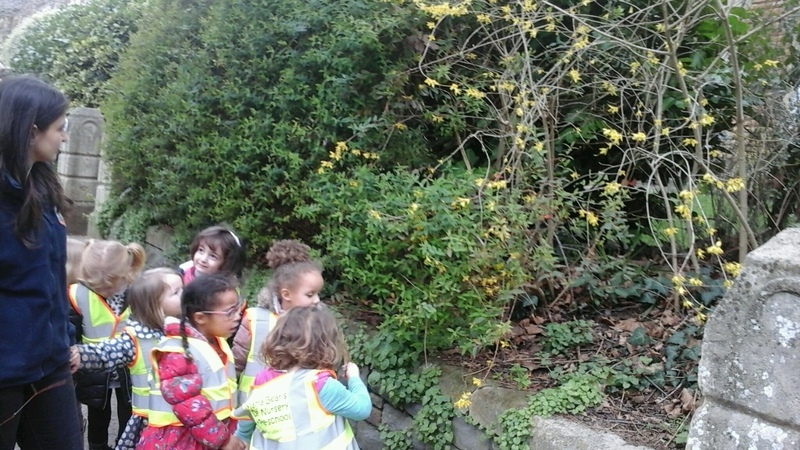 After exploring the forest in the autumn the pre-school children from Whiteladies Road decided to go for a search for the signs of Spring. 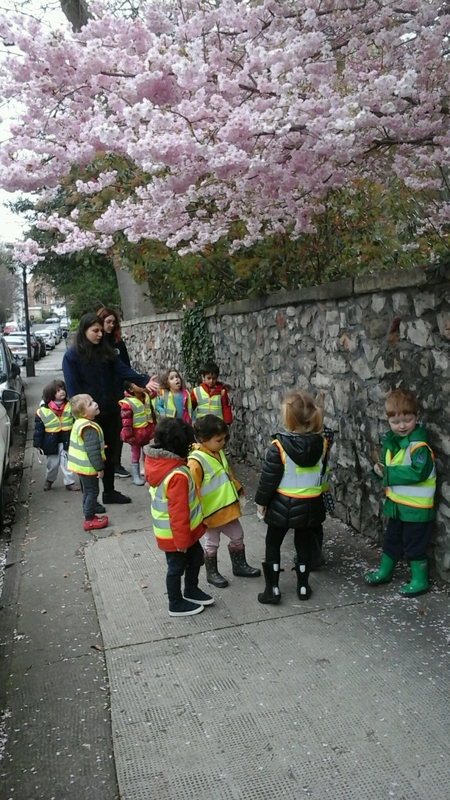 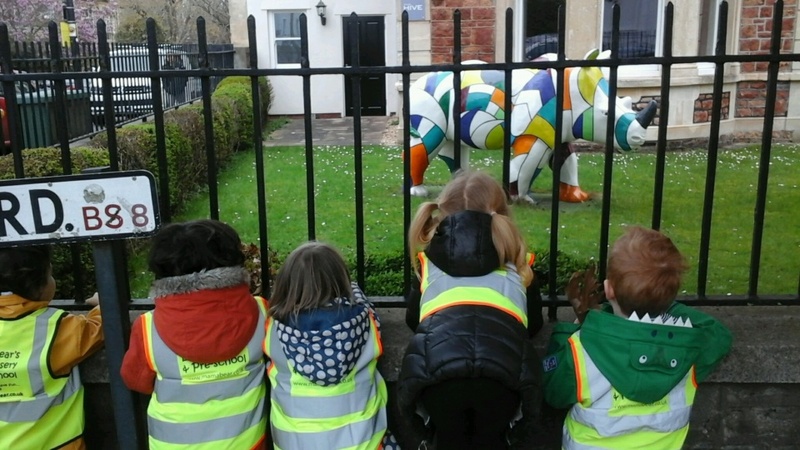 The children looked around the local area for the magical pink blossom tree, similar to the cherry tree festival the children had learnt about in Japan. 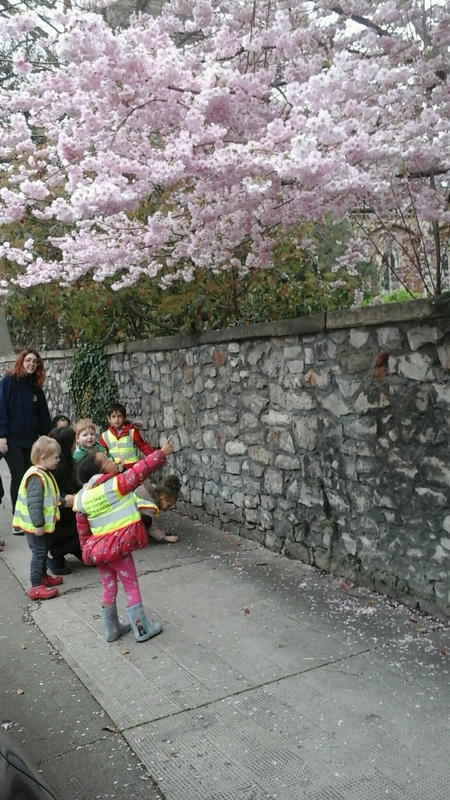 After finding some interesting things on the way, like a Rhino, the children finally found a beautiful pink canopy. 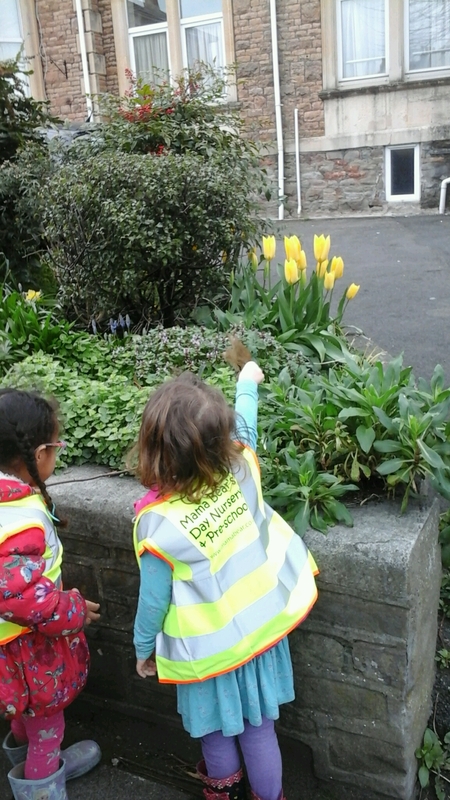 The children thought that the fairies may have decorated it as their new home.